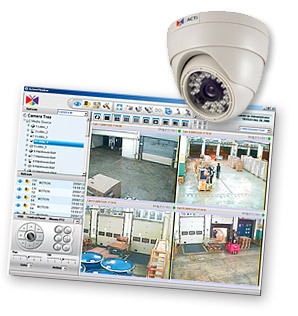 We provide digital video surveillance systems which have a number of advantages over analog and hybrid CCD platforms. We use the latest in IP digital cameras and video servers to develop the top-notch security solutions. Each camera is an independent network device, simple and easy to install, set-up and run. High video quality with 1.3 megapixel ССD matrix. Operator is not attached to the surveillance facility. Scalability – cameras can be added in any number in any order. Multilevel software access protection. Geographical freedom – surveillance system can incorporate distant cameras. Easy wiring with Power-over-Ethernet technology (PoE). Remote real-time and archive access from anywhere in the world with Internet. Secure archive data storage with dedicated autonomous NVR. IP video surveillance equipment from Cosmonova supports all industry standards and does not require any specific drivers for functioning. Customer can choose from a number of available fully featured surveillance applications including free ones: powerful Network Video Recorder (NVR) and operator monitoring software. Classical function of security video surveillance. Internal security and personnel control. Autonomous Web-cameras for high quality web broadcasting. Plate number recognition for automatic vehicle access. Related data overlay such as current receipt information, as performed by observed cashier. Intrusion security alarm system with the camera’s built in motion detection and alarm interface. Companies looking for a proper security solution.